Isn’t This How Nature Works? 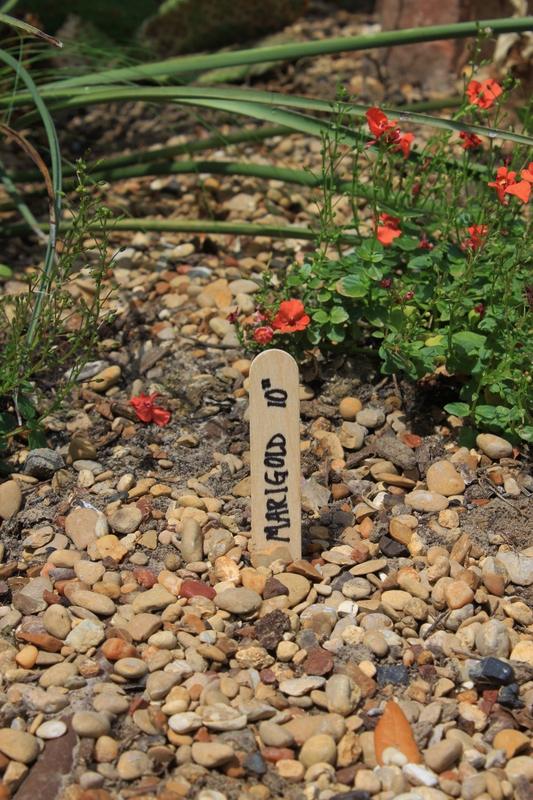 Remember those Marigold seeds we planted in a Dixie cup? That was one of my favorite activities in grade school. I never knew that there were so many seeds to choose from. Just look at all the variety at our Home Depot. 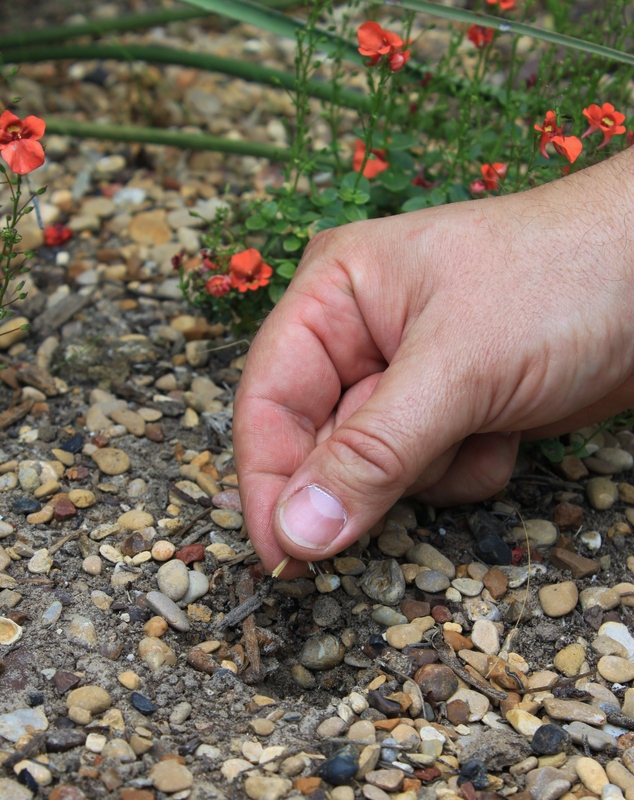 Why not grab a few and see what they do in our flower beds? Plenty of empty space since we lost most of the old plants this winter. 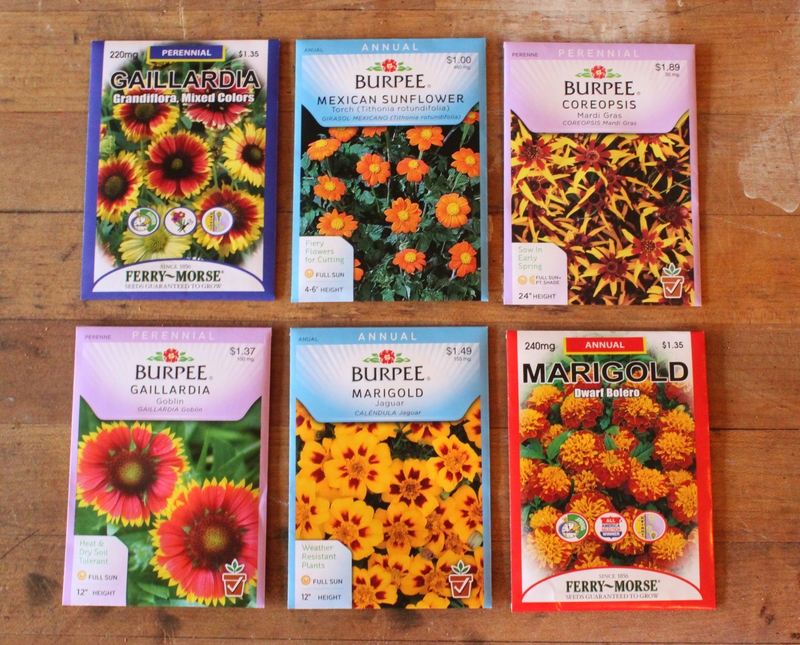 Indian Blankets grow on the side of the Texas highways, and Marigolds seed themselves every time we plant them….so these should do just great on their own in our flower beds. If not……we wasted a few dollars. And about 1/2 an hour. 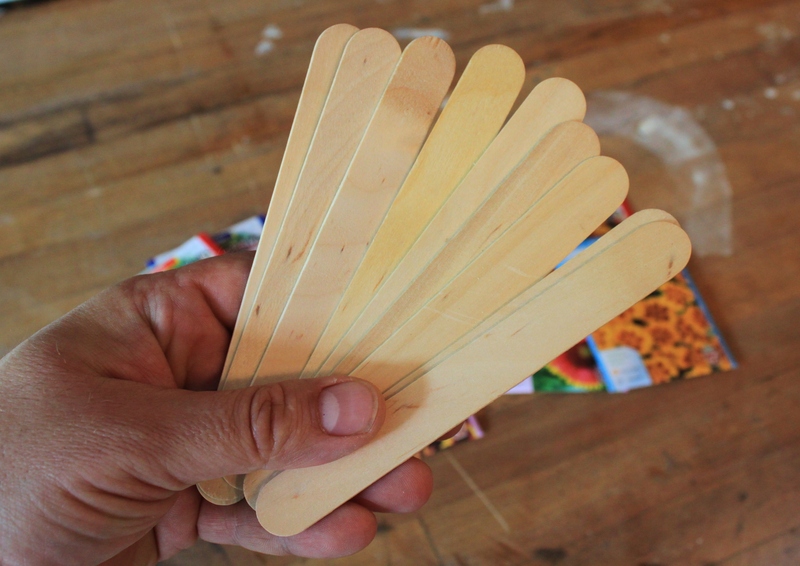 Jamie picked up these large popsicle sticks at the dollar store. I just used a Sharpie (God bless a Sharpie) to label each one so someone (not me) knows that these little sprouts aren’t weeds. 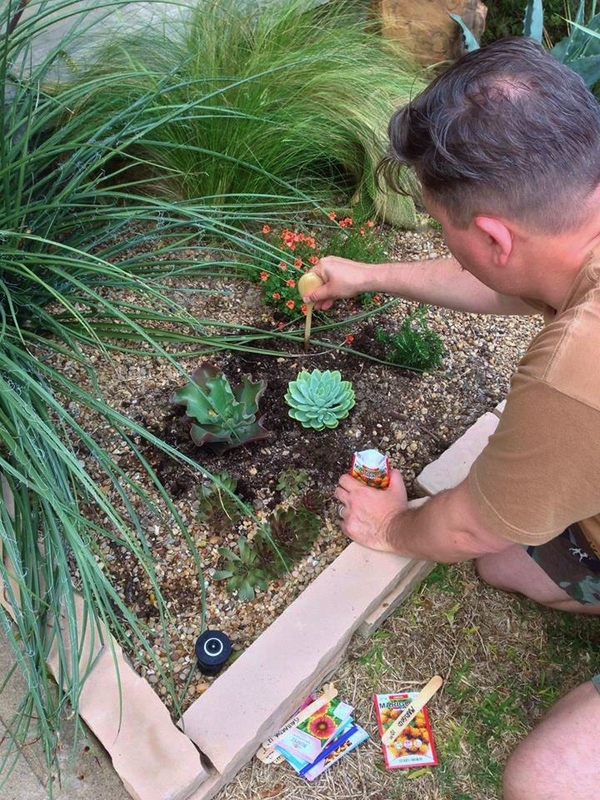 I also put the height they grow to, so we know where to plant them in the beds – Taller plants towards the back; and smaller ones right up front. 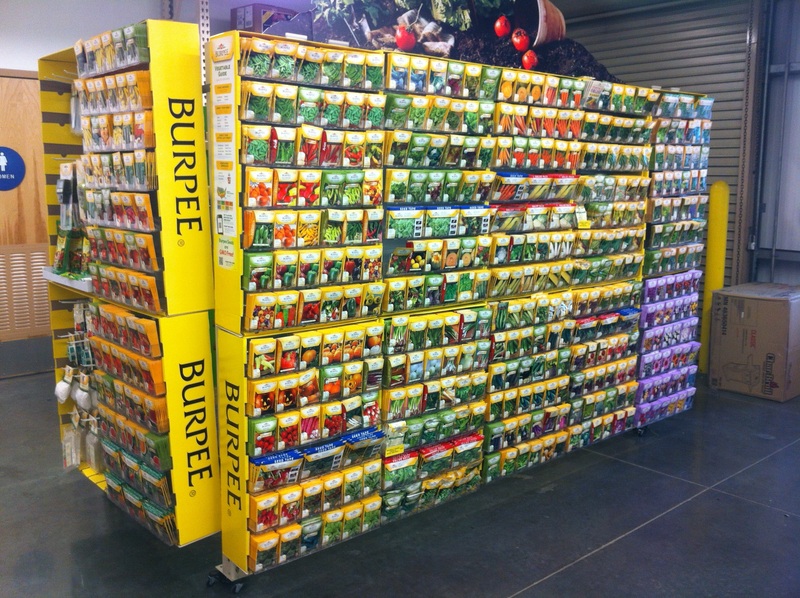 The propper way to start seeds is in seed cups in a greenhouse. But we roll a differently at the Cavender house and didn’t want to exert too much effort. So we just dropped them in the beds. Most of the seeds need to be about an inch below the surface. 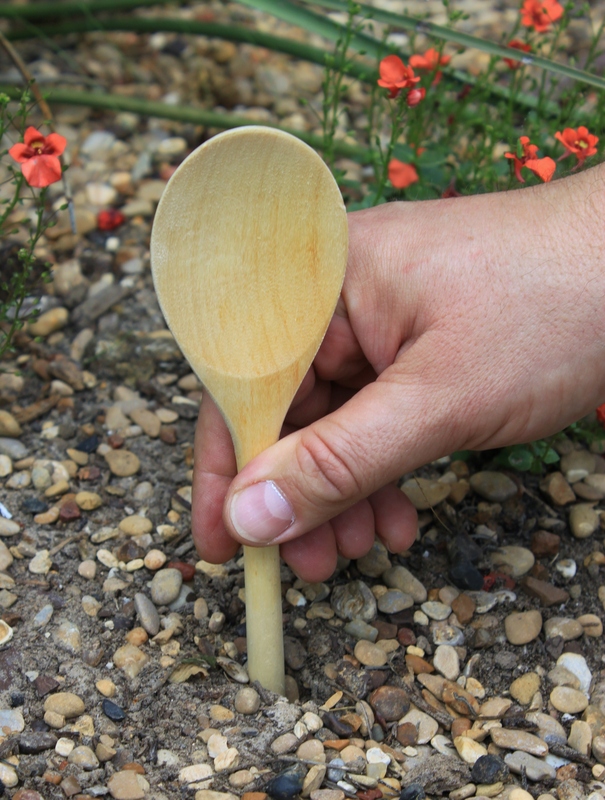 I just used a wooden spoon to poke holes in our soil/sand/pea gravel mixture. Some of the seeds are pretty tiny. The Coreopsis seeds looked like little black specks. 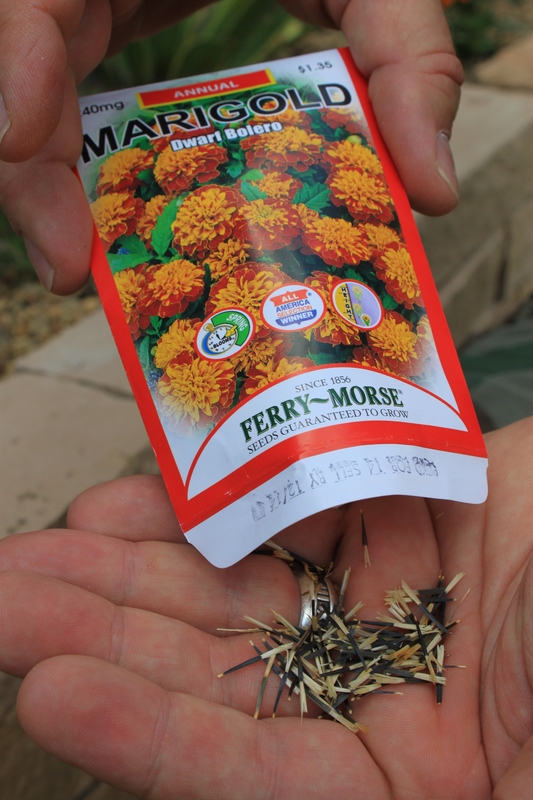 Luckily the Marigold seeds are visible with the naked eye….and look exactly as I remember them. I dropped a few in each hole….and covered them up. 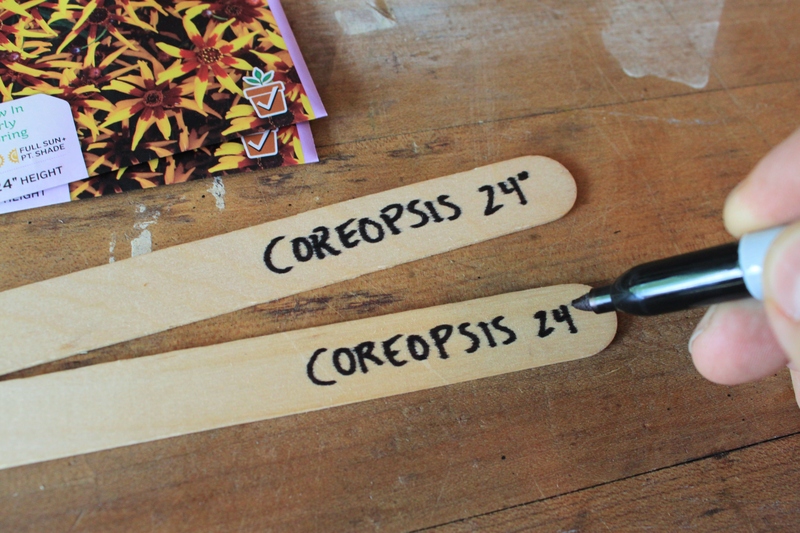 The popsicle sticks temporarily mark where these little guys should start sprouting from. I’ll pull them up when the plants are established. Let’s give this a few weeks of rain and sun, and see where we are….